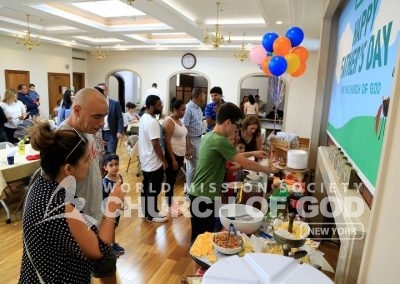 The World Mission Society Church of God in New Windsor held a special event for Father’s Day 2017. Whether members of the Church or from the community, fathers received much deserved honor. 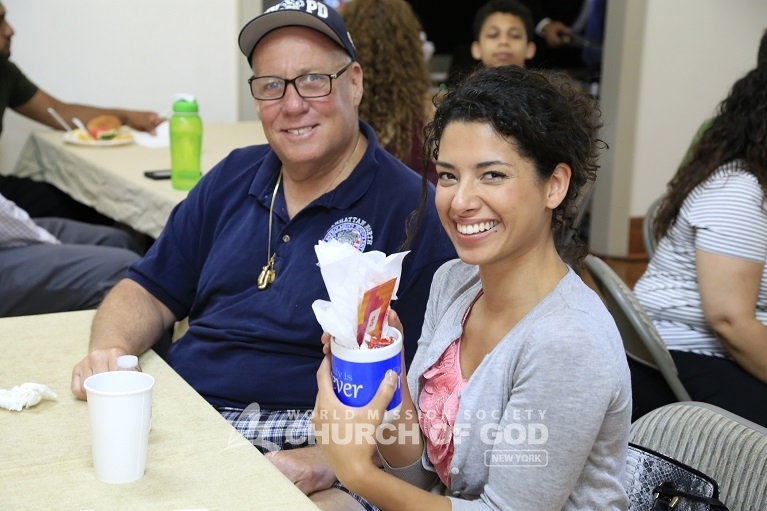 The Church of God hosted the event to commemorate dads for the hard work they do for their families. Various tables sprawled across the room with a seminar area sectioned off at the end of the room. Nevertheless, a burger bar stole the attention in the middle with a ‘Happy Father’s Day’ banner hung directly above. To ease the dads into having fun and letting loose, the host kicked things off with a Q&A putting the fathers in the spotlight. “What’s the funniest memory you have with your dad?” or “What makes your dad special?” were some of the questions the crowd didn’t shy away from answering. Next, the host went on to explain a little more about the church to newcomers. However, emotion filled the room while the host explained the origin of our fathers’ love. 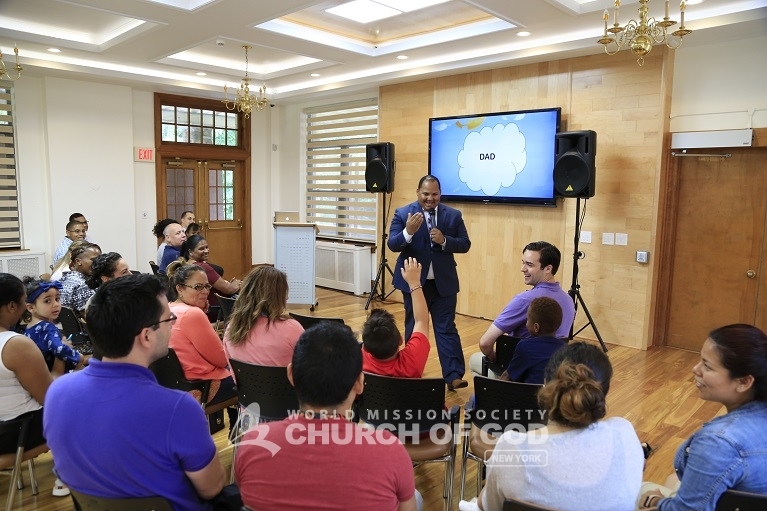 “Sometimes a father’s work goes unnoticed, but through the Bible we see that the devotion and sacrifice that comes through a father is the reflection of our heavenly Father,” said the host. Through the example of God the Father, the audience felt the efforts of their own fathers, albeit we do not always speak about them. As a result of the event, fathers and their children were able to share an incredibe time together. It was a day the dads will surely not forget about until the next Father’s Day. A father and daughter won a prize for being the ping pong champions of the day. 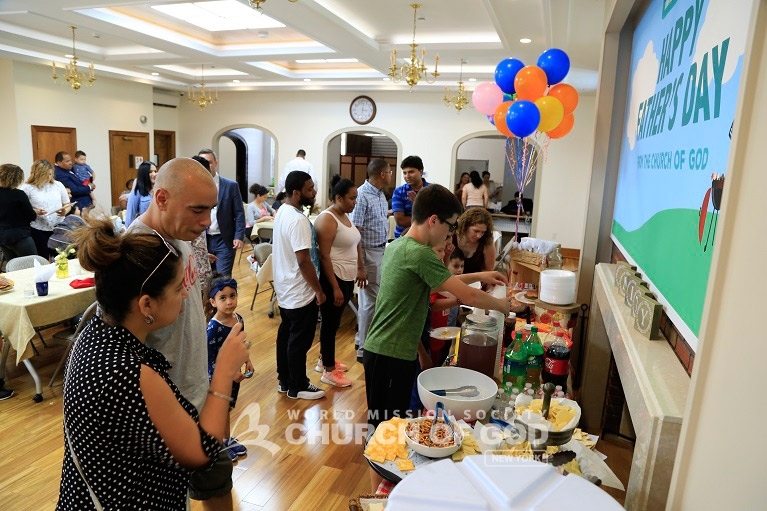 Families and friends gathered at the Church of God and enjoyed delicious food on Father's Day. 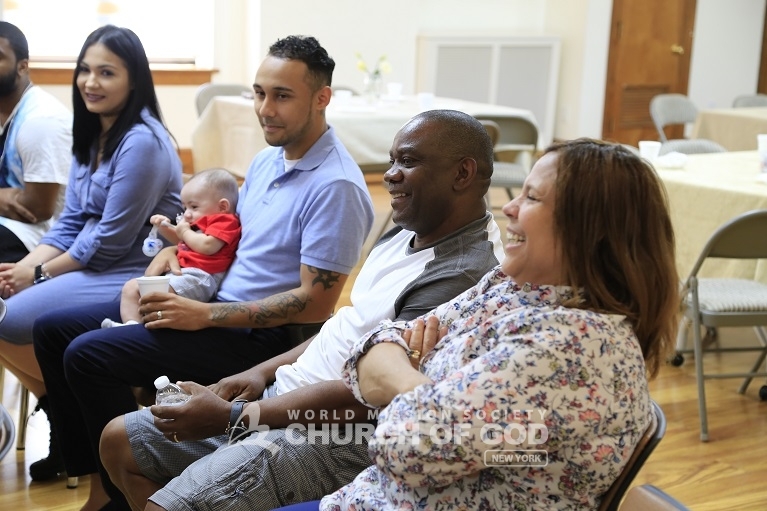 Fathers attended a special Bible seminar with their families during the Church of God's Father's Day event. 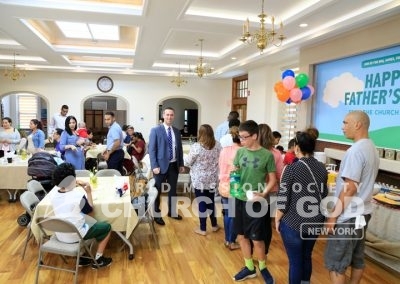 The Church of God in New Windsor hosted a decorative luncheon to celebrate fathers on Father's Day. Father and sons engaged in a light-hearted ping pong match. The father and daughter duo ruled the table during the ping pong tournament on Father's Day. I often forget the sacrifice and love of father, but father loves and cares for me as well as mother. And I think it is same with our spiritual father and mother. I am so blessed to meet father and mother and receive the love from them. I miss my father who returned a few years ago. And, today, I miss Heavenly Father who is waiting for me in heaven’s kingdom. I found my real self through Heavenly Father’s sacrifice. I want to be a bright smile on His face! All things on earth are copy of what is in heaven. Now, I realized how great Heavenly Father’s love for His lost children. I want all of them to be with together with eternal happiness in heaven’s kingdom. 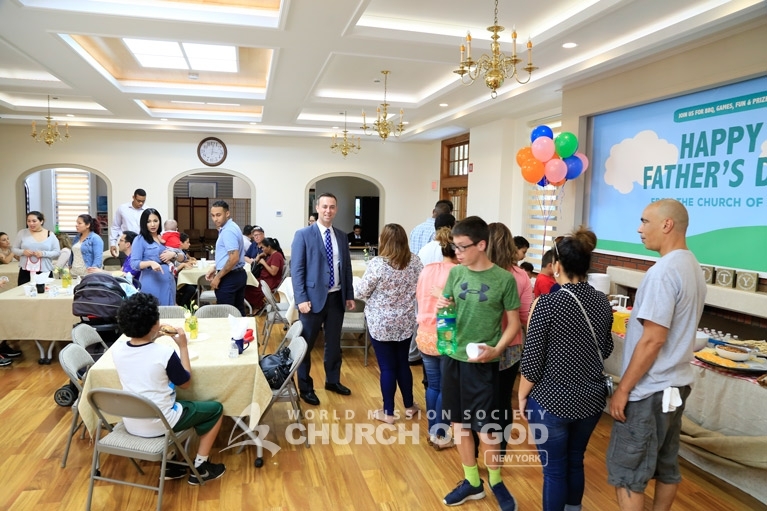 It’s beautiful to have a good time with father through this event. Most of the time, I forget or don’t recognize my father’s sacrifice and love toward myself since he has never told me about tough things he had to go through. I really want to say thank to my father…. also to Heavenly Father. Father’s love and sacrifice is easily forgotten compared to mother’s, but actually fathers really do love and care their children. You can say that again. This article reminds me of my father who has loved and cared about me. I love ping pong. I want to play it together next time!